BBC Radio 4 - Today, When will a Premier League footballer 'come out'? When will a Premier League footballer 'come out'? Homophobic abuse is regularly heard at football matches, according to a survey for the charity Stonewall with nearly two-thirds of fans hearing it while watching live sports in the past five years. 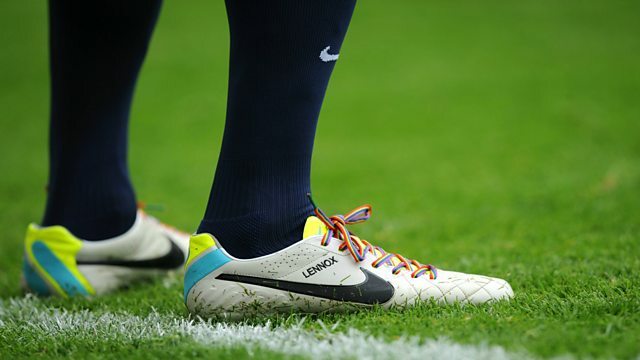 Mark Gonnella, director of communications at Arsenal, and Chris Paouros, co-chair and founder of Proud Lillywhites, the LGBT Spurs supporters’ club, discussed whether a top tier footballer will feel able to come out soon.